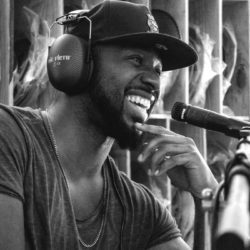 Welcome to the TRX Cymbals Podcast hosted by Josh “JBake” Baker, touring and recording drummer with Mariah Carey. 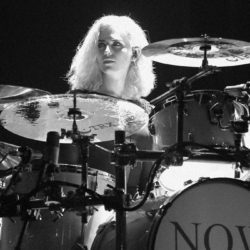 In these 5 episodes Josh talks with Charles Streeter, Tito Felix, Elijah Wood, Marco Castro and a group of today’s top female drummers, including Mel McFail, Fer Fuentes and Lindsey Raye Ward. In each show the drummers discuss their influences, drumming approach and cymbal set-up. Also featured in the podcasts is a segment about the rise of the TRX Cymbal Co. and its “High Contrast” concept from company founder, Dave Levine. 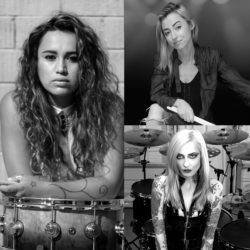 “Streeter” is currently drumming for Jennifer Lopez, Tori Kelly and Chaka Khan. Based in Memphis, Tennessee, the busy musician also fronts his own band, Charles Streeter & The Tribe. 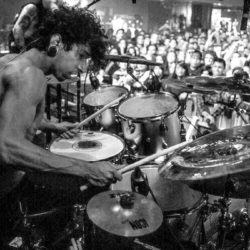 Still in his early 20’s, Tito Felix has spent the past few years on the road showcasing his chops, power and speed with Texas metalcore band, Upon A Burning Body. 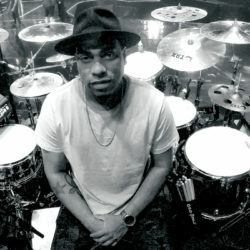 After growing up in a family of musicians, Elijah was tapped to be the house drummer for “America’s Got Talent”. She has recently has been touring with country music superstar, Shania Twain. 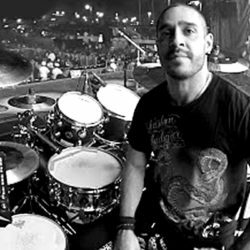 One of the leading drummers in Mexico, Marco tours with Mexican pop star, Gloria Trevi. He is also active in Mexico City’s many recording studios and clubs. When he’s not touring the world with acclaimed vocalist Mariah Carey, Josh is busy backing other major artists on record projects, club dates and awards shows.